Formica 909-42, or is it? I bought this, https://www.amazon.c...0?ie=UTF8&psc=1, which is advertised as, "909-42 Formica." 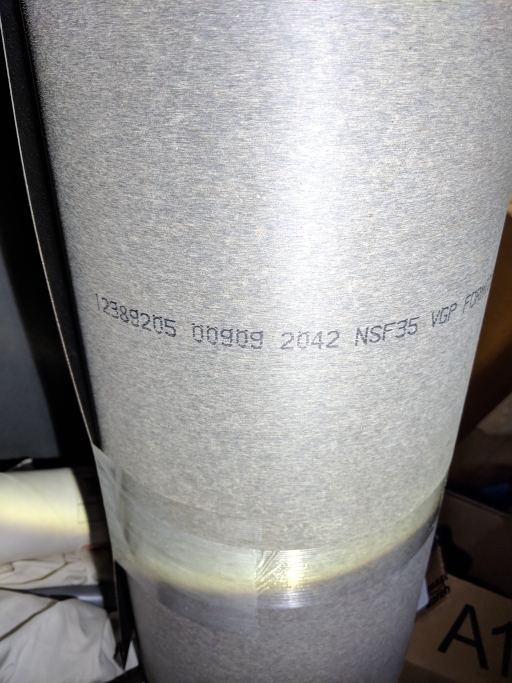 What arrived is labeled, "909-2042", (corrected) both on the receipt and material. So what is it? Oddly, I can't find this part number on the Formica website, not that it would help much. I know it's tough to tell from a picture, but is this anything like 909-42, and will it work as a bearing surface? It's not as bumpy as I expected, but sort of like maybe 60-grit sandpaper bumpy. 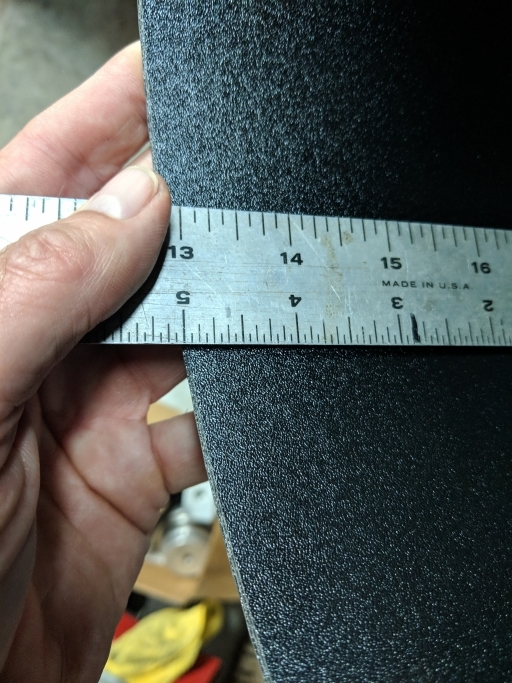 The problem is that I've never seen a piece of 909-42 Formica, so I don't know if the bumpiness is anything like this. I don't have Teflon to rub against it, and even if I did, I don't know enough to know what it would tell me. This thing was nearly $100 so I'm a bit grumpy that I may have been subject to the 'ol bait-and-switch. "If" this stuff will work, fine, but if not, guess I'll be calling them. What do you knowledgeable builders think? Edited by kb58, 21 March 2019 - 11:55 PM. It says 2042 not 2044. The 20 may be that it's postformable. Not sure as the codes differ in different countries and I'm in New Zealand. True, but is still wrong. Did some searching and it appears 909 means suitable for horizontal (bench top, some laminates are only suitable for vertical non wearing applications), 20 means postformable (it can be bent tightly with heat) and 42 is the finish. Without being there to be sure, I think you're fine. You could cut off a small piece and take it to a kitchen manufacturer and check against their sample rack to be sure. If they're anything like my workplace they will give you a piece free as well.